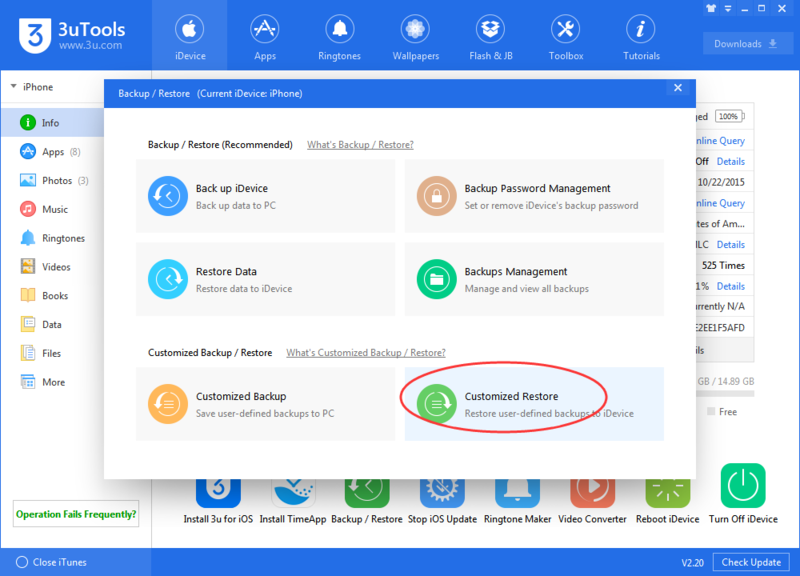 tutorial|How to use Customized Backup & Customized Restore? How to use Customized Backup & Customized Restore? 1. 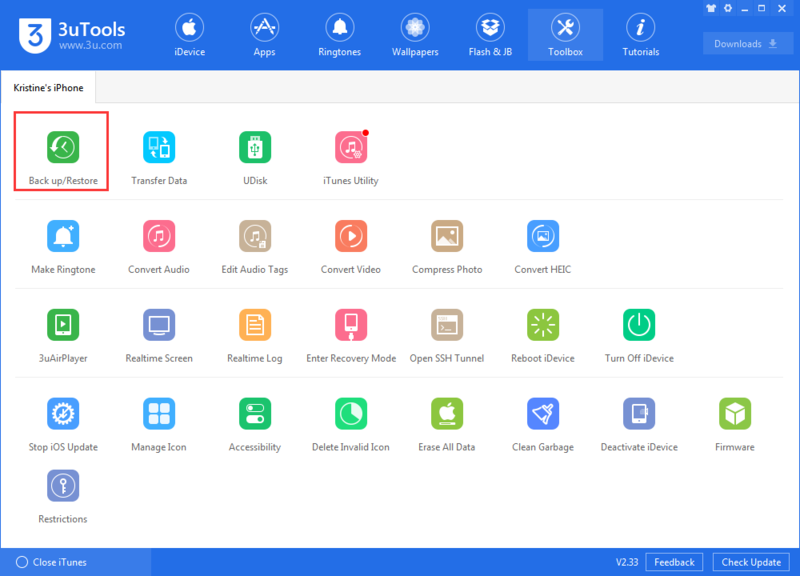 Customized backup can save user-defined backups from iDevice to the computer, and separately backup photos, music, contacts, notes, and apps. Accordingly, the backups can be separately restored to iDevice. 2. It's required to turn off the iCloud sync because the backup is disabled when the iCloud sync is turned on. 3. 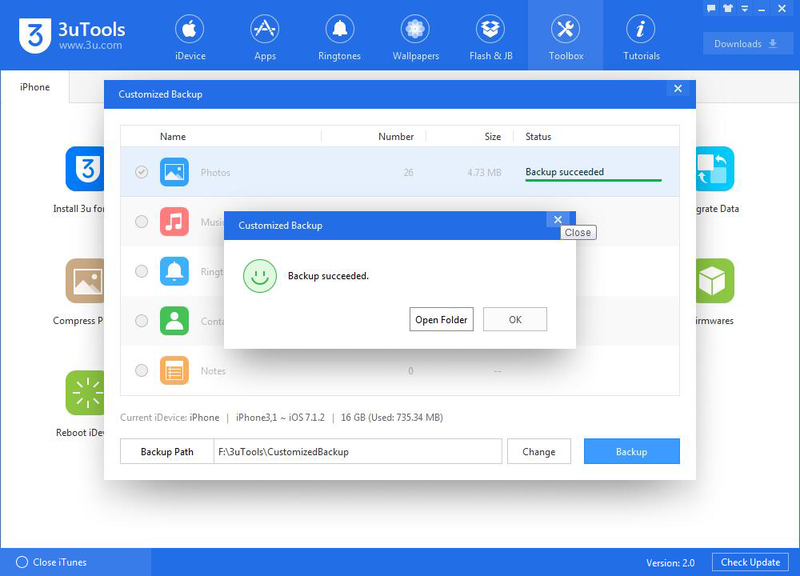 Ensure your iOS device has enough storage if you want to restore your back up file from 3uTools. 4. You need to turn on PicTools while restoring photos. a.) Click Toolbox→Back up/Restore→Customized Back up/Restore. Select the content you want to back up, then click "Backup". b.) Please wait till the back up is completed. Click "Toolbox-Backup/Restore-Customized Restore", select the backup you want to restore. Then click "Next". You may select the backup you want to restore according to your own requirements and click "Restore Now". If the size of the data is large, the restore process might take longer. Please patiently wait till the restore is completed.